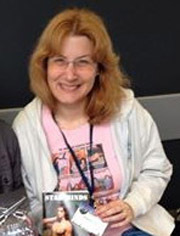 Unicorn Productions was born in the late 1990s to publish the graphic novels and one-shot comics by Barbara G.Tarn. Those photocopied zines with the unicorn logo are now out of print, so the dozen lucky readers who have them might one day get rich. Now the imprint is alive again thanks to new technology. It’s slowly expanding to other authors and genres… except it’s still the same person writing the stories! Novels, graphic novels, short stories, collections, comics and everything that comes out of that creative creator’s mind. Unicorn Productions interview on Smashwords. If you’re looking for the body switches by B.G. Hope, they are now out under the name Barbara G.Tarn. Other titles by B.G. Hope will come back later this year. B.G. Hope is a discarded pen-name of Barbara G.Tarn (if you downloaded the first body switch, Johnny&Marian, it said that the original screenplay was by Barbara G.Tarn, so… there you have it). More titles formerly published as B.G. Hope will be republished with new covers as Barbara G.Tarn. Barbara G.Tarn had an intense life in the Middle Ages that stuck to her through the centuries. She prefers swords to guns, long gowns to mini-skirts, and even though she buried the warrior woman, she deplores the death of knights in shining chainmail. She likes to think her condo apartment is a medieval castle, unfortunately lacking a dungeon to throw noisy neighbors and naughty colleagues in. Also known as the Lady with the Unicorns, these days she prefers to add a touch of fantasy to all her stories, past and present – when she’s not wandering on her fantasy world of Silvery Earth or in her science fantasy Star Minds Universe. She dabbles into historical fantasy with her Vampires Through the Centuries series and has started post-apocalyptic/steampunk series called Future Earth Chronicles. She’s a writer, sometimes artist, mostly a world-creator and story-teller. Two of her stories received an Honorable Mention at the Writers of the Future contest. One of her stories has been published in Pulphouse Magazine #5 (March 2019). She writes, draws, ignores her day job and blogs at: http://creativebarbwire.wordpress.com. Check her Vimeo channel for book trailers and other funny stuff. Support her on Patreon. Barbara Sangiorgio was born in Rome and has been writing non-stop since 1978. Her stories are coming to life only in the new millennium, with a flavor of the end of last century, since that’s when they were written. If you’d like to read slices of life in Italy in the 1980s and 1990s, these stories are for you – they’re fiction, by the way. Translated by the author who didn’t revise them and now writes as Barbara G.Tarn. NOTE: there is nothing in English for this pen name at this time.